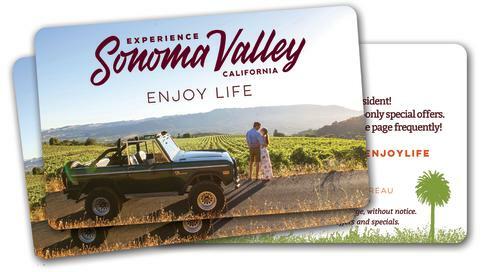 Sign up for Enjoy Life and get special offers from your neighbor tourism businesses, such as tasting passes, tours, shops and restaurants! Thank you for supporting your neighbors in the local tourism economy. Once the form is complete we will mail you your physical card containing the Enjoy Life website address.